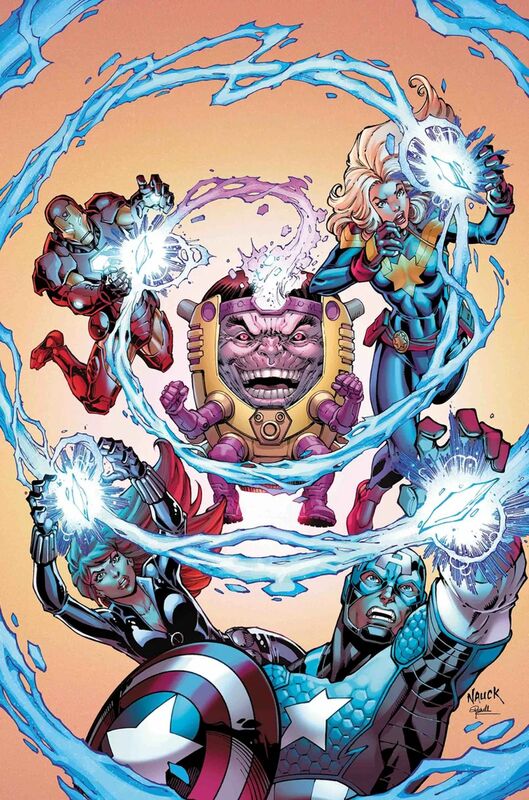 M.O.D.O.K.’S scheme reaches its endgame! From the wreckage of their moon base, the villainous Lunar rises again – with a deadly plan for the shards of the Cosmic Cube! Join Captain America, Black Widow, Iron Man and Captain Marvel in a race against time that will determine the fate of the solar system! But what is M.O.D.O.K.’s plan, and how does he figure into Lunar’s ambitions? All will be revealed as the Avengers fight to save the Earth from the ‘Edge of Infinity’!